The city porbandar has got a national Level importance being a birthplace of Father of the Nation, Mahatma Gandhi. The city is also known as “Sudamapuri” in the memory of Saint Sudamaji, a beloved friend of Lord Krishna. The city porbandar is linked with vast facilities of Rail, Road and Aviation Transportation. Various types of industries are flourished by leap and bounds, which has designated the city as an industrial city. Not only that, the city has wide field of Education having various colleges and institutions. The centre popularly known as “Bharatiya Pragnachakshu Gurukul” has been established by Shree Devjibhai Jethabhai Khokhari on 01/06/1960 and give named as “Bharatiya Pragnachakshu Gurukul”. 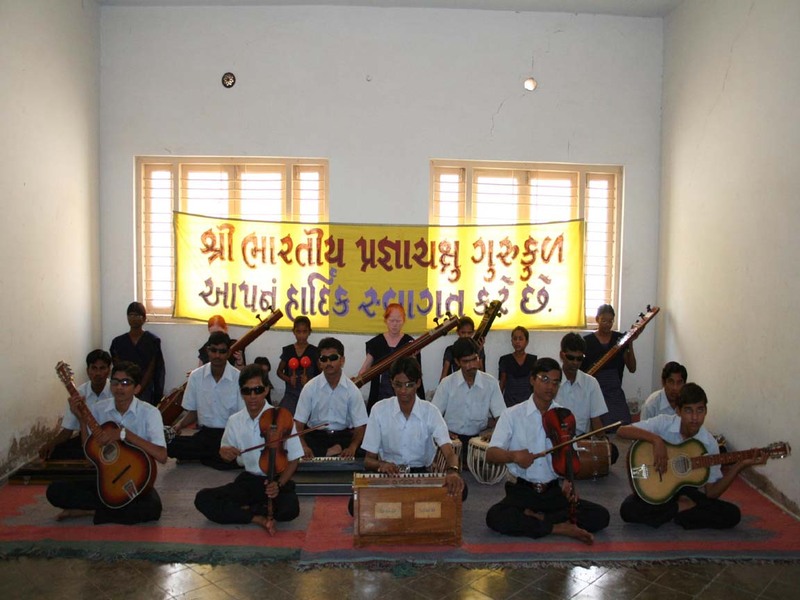 The aimed behind establishment of the Gurukul is for the upliftment and development of the blind. At the initial stage there were very major facilities and it was felt very hard to run the institute. But the motive was firm and noble which inspired various institutions, prominent industrialists, and businessman and generous members from public and with their help, assistance and generous donation the institute took the shape as it is to-day.